While bi-annual check-ups with your dentist are very important for your dental health, it is your home routine that will determine how well you are able to maintain your oral hygiene. However, taking care of your teeth at home can prove to be quite challenging. It is fairly common for patients at our dentist in Berwick to become complacent with their dental care, or for them to adopt techniques that are actually harmful towards their teeth and gums. To help you stay on the right track, we’ve come up with seven tips you can use to improve your dental care routine and your oral hygiene mindset. 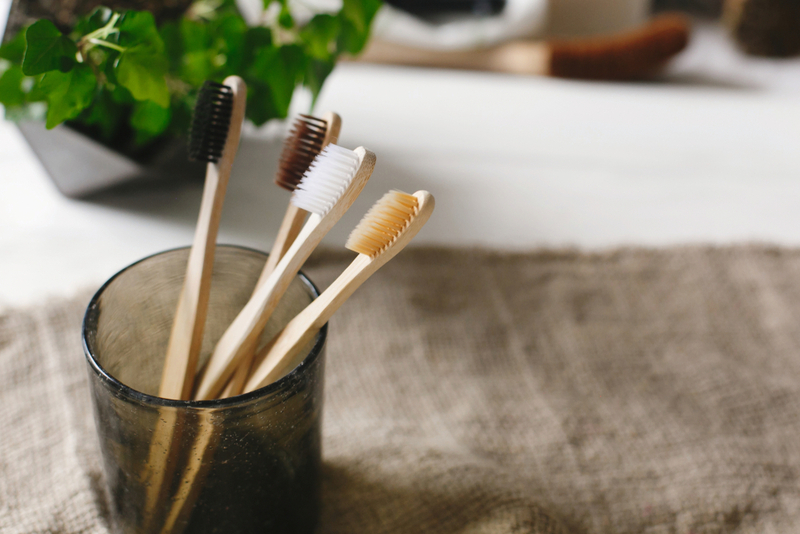 Just because you brush twice a day, it doesn’t necessarily mean your oral hygiene is perfect. If you don’t brush the right way, there is a chance you could actually be doing more harm than good to your teeth. Don’t brush straight after you’ve had acidic food or drinks. Do you regularly play sports? Do you ride a bike or a skateboard? If so, you need to ensure that you are protecting your teeth by wearing a custom-fitted mouthguard when you engage in these activities. It may seem obvious, but mouthguards protect your teeth and your jaw from serious dental injury – which is actually a very common result of these activities. It goes without saying that your mouth is the first place that will come into contact with food and drinks. Therefore, it is important to ensure that what you’re eating and drinking is not going to damage your teeth, gums and mouth. Always try to opt for foods with a high water content, such as celery or apples. Avoid eating sugary things, and try to stay away from acidic foods like citruses and tomatoes unless you are consuming them with plenty of water. Swap out soft drinks for herbal teas or plain water. Xylitol gum or breath fresheners, as bacteria cannot break down xylitol (unlike sugar). Not only does drinking water have a range of benefits for your general health, but it’s also a great habit to form if you want to improve your oral health. The most important thing that it does for your mouth is promoting the production of saliva. Saliva is vital in preventing mouth dryness, which is an issue that can encourage plaque build-up, eventually leading to tooth decay if you aren’t careful. When it comes to flossing, nobody is perfect. Many of us may not feel motivated to commit to a daily flossing routine and might feel ashamed as a result. Sometimes, we might simply forget to floss! This can also make us feel guilty. The important thing to remember in both situations is that everyone has experienced this feeling at one time or another. Reward yourself for flossing. Setting up a reward system is the oldest trick in the book for positive reinforcement. Whether it’s rewarding yourself with a movie marathon or a nice dinner for every week you floss, figuring out a motivating reward is a great way to stay on track. Buy a flavoured floss. Make flossing more pleasant with flavoured floss. Ask your dentist about options that are safe for your teeth. Set a reminder for yourself. Phone reminders and sticky notes will help you to remember when you need to floss. Try and set timely reminders around routines you already have. For example, if you always shower in the morning, set your flossing reminder for around that time. This will help you integrate flossing into a routine you already have. You shouldn’t completely rely on your bi-annual dental check-up to reveal any dental issues you may have. Improving your awareness around your teeth, gums and mouth is the first step in identifying any potential issues you’ll report to your dentist. You should self-examine your mouth at least once a month, checking for symptoms of oral cancer or other irregular activity. Eden Rise Dental can help you feel confident about your smile, whether you’re concerned about your oral hygiene routine or any other dental issues. Not only can our knowledgeable and friendly dentists in Berwick provide more home care tips for you based on your situation, but they can also offer you a variety of dental solutions, including cosmetic dentistry. Are your due for your bi-annual dental check-up? Please don’t hesitate to book an appointment with a dentist in Berwick by getting in touch on (03) 9702 6111 today.